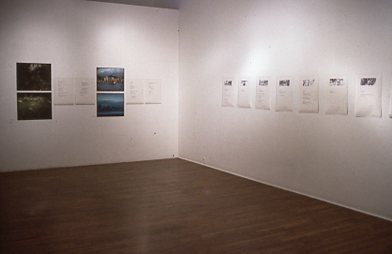 Installation images from the 1992 exhibition at the Western Front Gallery. 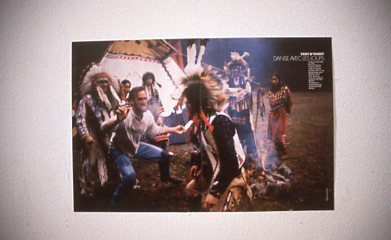 This 1992 project strategizes to question structure – of what is assumed valid within socially constructed positions – and the advantages of perception within distance / distancing. 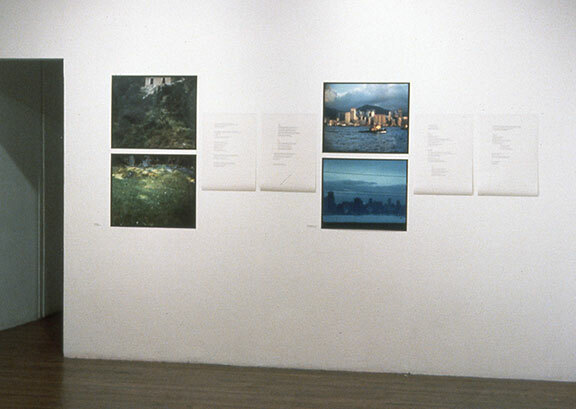 It explores translations – of what is assumed within a perception, what is read, what is skipped over, thrown out with the trash, and what is absorbed and acknowledged as legitimate within the tyranny of knowledge in the excess of words and images that construct the first world. The content of seemingly disparate elements is a strategy to aggravate the impatience to consume experience within this tyranny. These texts were written in English and translated into French for the original. I had chosen this to patronize the official bilingual policy of Canada and this was part of my research on the perceptual ambiguities within the English language. 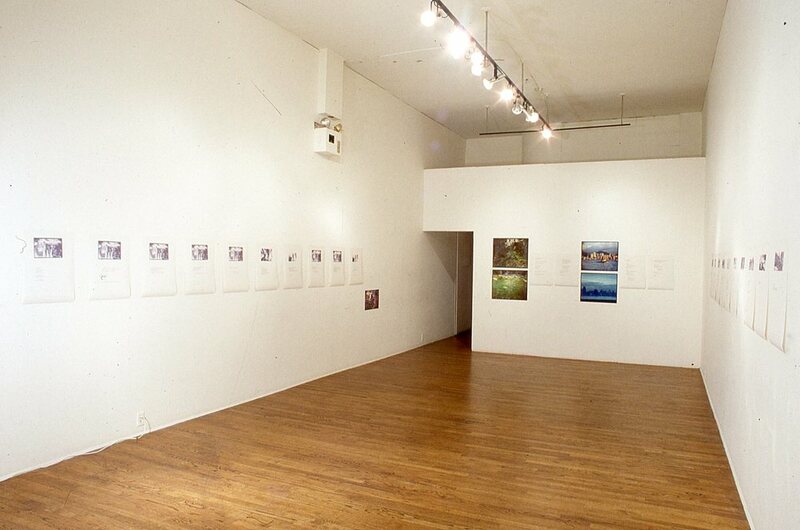 The 2007 website was commissioned by Liz Park for her exhibition The Limits of Tolerance: Re-framing Multicultural State Policy. It is currently in English, the French texts may be added later. At this time in the web version, when there is French in a text it is to point to an interpretive / perceptual ambiguity in the English. The title of the project and cover of the book come from an old Chinese encyclopedia that belonged to my father and was found on my nephew’s bookshelf in Harare, Zimbabwe. It briefly explains the optic principle of depth of field and the distance it takes to be in focus. The title of Ubiquitous China is from a subtitle in the book The History of British Columbia by Howard Howe Bancroft, 1890. 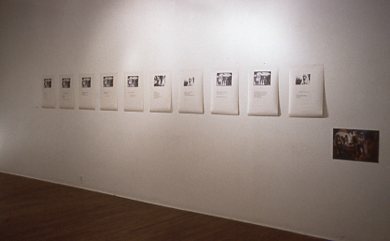 The 1992 publication version of Ubiquitous China is second to one exhibited earlier in 1989-90 and the web version follows this second version. Images were photographed on location during travels to China in 1986. The title of they did not rest in quiet even here… is taken from a children’s book, Christopher Columbus and the Discovery of America published in 1896. In the last chapter, it describes Columbus’ death and burial: “…His remains were carried to Seville (Spain), and buried in a monastery of San Cuevas. His son Diego was also buried there… His remains were afterwards removed, in 1536, to St. Domingo, that they might rest in the New World he had discovered. They did not rest in quiet even here. After 200 years they were taken to the Cathedral in Havana (Cuba)…” Notes were started in Montréal, 1990, during the events at Oka, and finalized in Harare, Zimbabwe, in 1992. 1: Hong Kong; 2: North Vancouver; 3: Yangste River, China; 4. 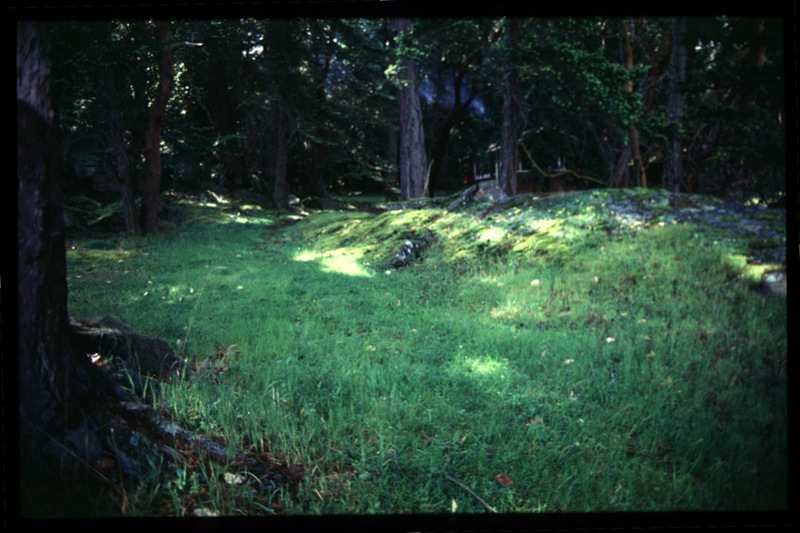 Saturna Island; all in 1986. Photographed at various locations in Zimbabwe in 1992.